Check out Daiso, Toys R Us, True Value, and Robinsons Appliaances' Summer Super Sale! Get up to 50% OFF select items. 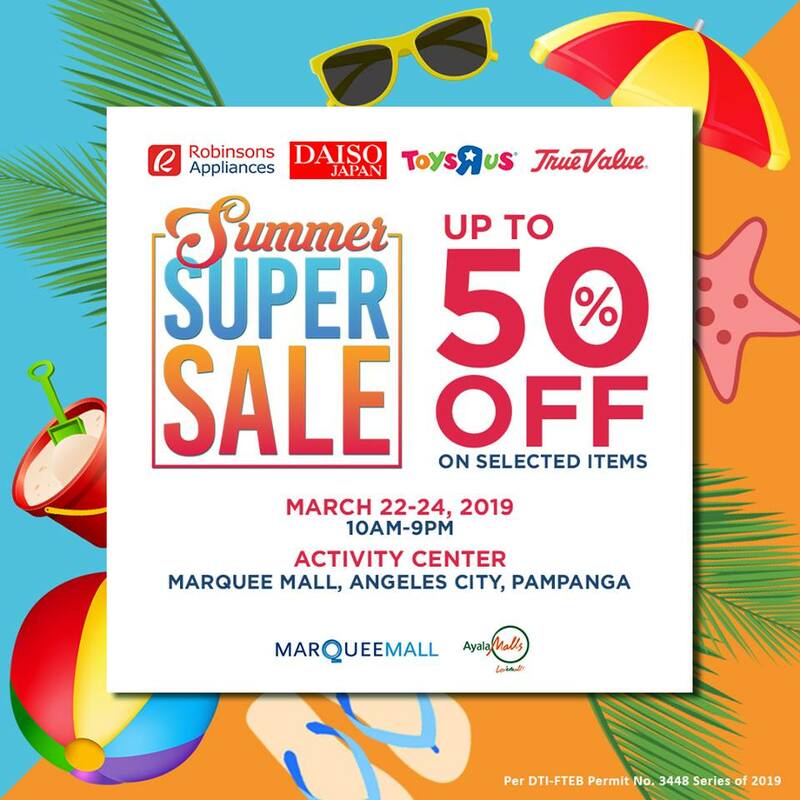 Head on to Marquee Mall, Angeles City, Pampanga now! Sale runs until March 24, 2019.